Japanese based design and architecture firm Wonderwall recently completed a retail space for a department store in Hong Kong. 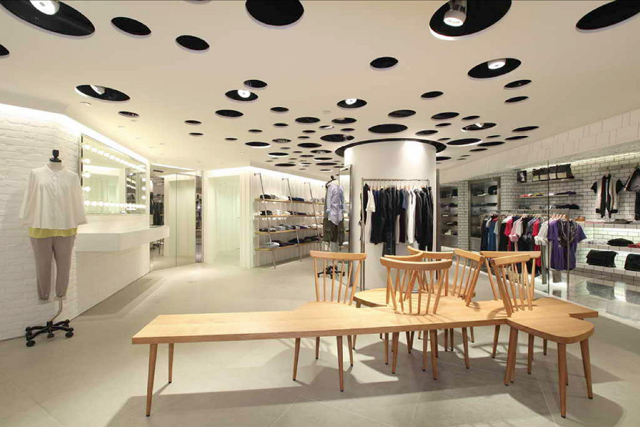 Masamichi Katayama, founder and lead designer of Wonderwall designed four floors for leading fashion retailer I.T., who represent multiple fashion houses in their stores. "The basement level which houses the menswear department has an industrial-like ‘warehouse/factory’ theme," Katayama explained. The ceilings are low, with wood beams crossing into a grid, and an epoxied stone floor which adds to the factory feel. On the ground floor, Katayama created a military theme with the use of harder materials such as metals, black fencing, and hard wood floors. The second floor provides a quick change of pace. This floor houses younger and more casual brands, because of this, Wonderwall designed the space to be a "feeling of a street in a residential neighborhood." The gallery-like third floor houses the more elegant luxury designer brands has curved walls that may give one a sense of distorted balance. On the ground floor there is a BAPE STORE®, with it's own private entrance. 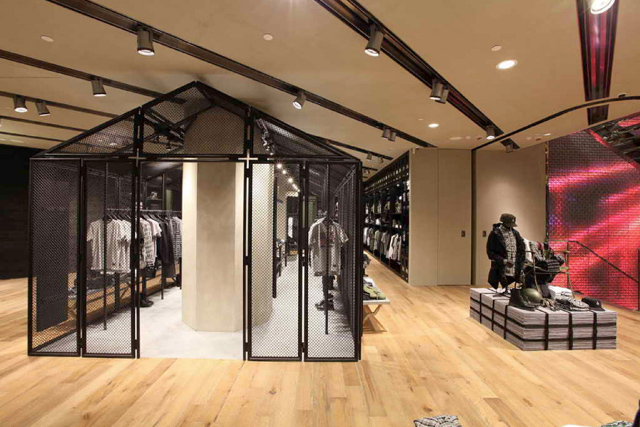 The BAPE store's clean design is constructed out of metal, stone, and glass. Glowing shelves peek through the walls which display BABE clothing and shoes. 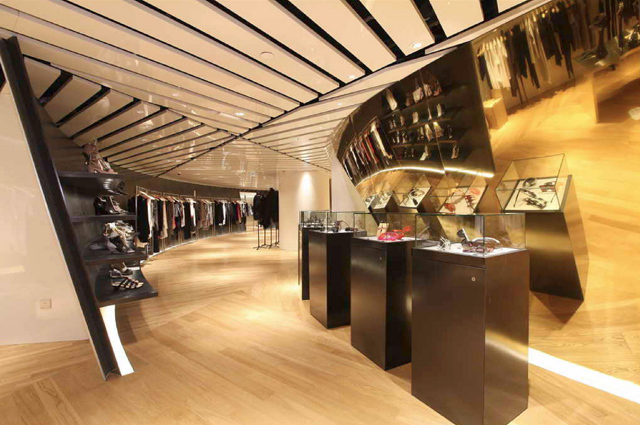 The initial concept of the design was to give shoppers the opportunity to have multiple shopping experiences within the same space, which was achieved by Katayama when he designed each floor to be unique in it's atmosphere.